Bookvip wants to change my hotel after payment. We appreciate the opportunity to address your concerns. Our promotional packages are amazingly affordable because the participating resort provider is paying for the 77% discount, in exchange for your time during a 90-120 minute preview of the resort. The preview is designed to be fun and informative. 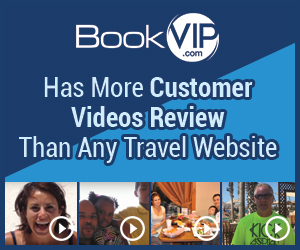 To ensure that these rooms are available to the customers for whom they were intended, the participating resort provider – not BookVIP - sets forth certain eligibility requirements. All requirements can be viewed on our website under the Terms and Conditions tab located on every resort offering page. The Terms and Conditions are reviewed with the customer during the sales call and the customer must agree to them in writing by electronic signature, before any reservation is final and the travel dates sent to the resort. The Reservation Details are clear and concise and include any additional taxes and/or resort fees which may be asked by a particular resort – including the deposit you reference. Unfortunately, you refused to cooperate with the resort during the VIP Welcome Call and the resort is unable to honor your discounted promotion package. Because you have not responded to our many attempts to reach you to offer alternative resort options, your reservation has been cancelled and refunded. bookvip.com doesn't tell you when advertising vacation package until after payment that you have to listen to a 3 hr timeshare presentation and if you decline, they will switch hotel on you. i booked a week at san cabo Mexico at the sandos finisterra for july 25th 2017 and they want to now switch hotel because i decline to listen to a 3 hr presentation to buy a time share that I'm not interested in. also after payment they tell you they will put a $1500 charge hold on your credit card at check in. also they mislead you that you can pay now and you have 12 months to choose your date like its guaranteed, but after you pay, then they tell you if the dates are still available. Review #989556 is a subjective opinion of User989556.